Every Friday afternoon we have a celebration assembly and we recognise the successes and efforts of all our pupils. Each week all our class teachers nominate a pupil to receive recognition for a particular achievement and these pupils have their name written in our "At Sharlston We Shine" Book. Parents/carers of these children are invited to attend the special assembly and share in their achievement. 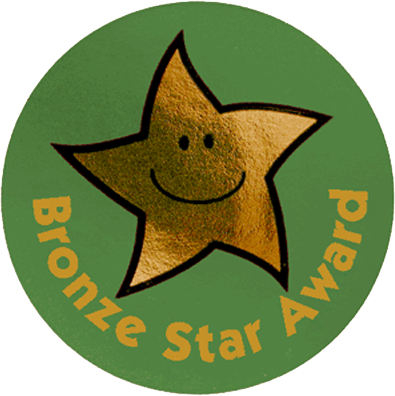 To encourage children to make the right choices we have Bronze, Silver, Gold and Platinum awards. 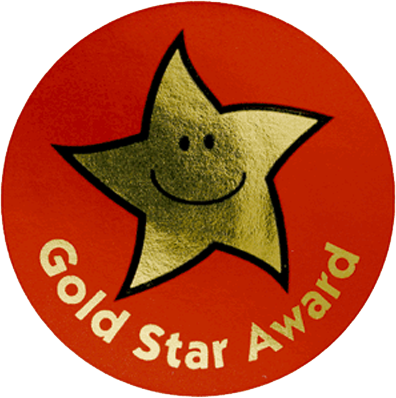 Children are rewarded with "Smileys" which earn them a sticker on their chart and when they have filled the required number of charts they receive their Bronze award. 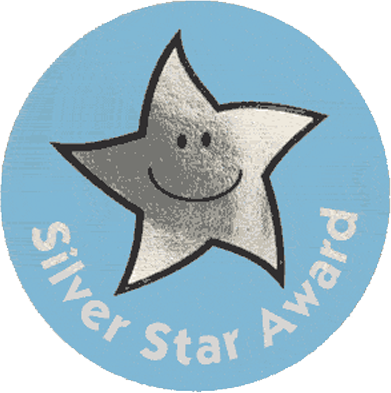 They can then go on to achieve Silver, Gold and Platinum and for each award they will receive a certificate and a star lapel badge. Children receive their awards in the Friday assembly. Good to be Green In school we use a "traffic light" system and all children begin each day on the colour green. showing they are 'Ready to Learn'. Their behaviour and attitude throughout the day determines whether they remain on green or whether they are moved up to the 'Reach for the Stars' or even 'Out of This World' ; this happens when children are demonstrating consistently fantastic effort and positivity with their learning. The 'Think About It' colour is used when children are not making good choices and need a reminder. When children regulate their own behaviour and make better choices their name is returned to 'Ready to Learn'. The red colour is 'Teacher's Choice' and children have their name moved here if they have continued to make poor choices, hurt others or deliberately damage school property. The red 'Teacher's Choice' involves a consequence, which will be at the teacher's discretion. Each class works together to earn 'Team Reward Points' . School attendance is very important and we would like all our children to aim for 100% attendance. Full attendance means that no learning time has been lost. All children who achieve 100% each half term receive an attendance award certificate and any child who achieves 100% attendance for the whole school year will receive a special prize.